The Roman Image sees the return of Talkative Man as the central figure, after A Night of Cyclone and Lawley Road. TM re enters and takes center stage in this story of archaeology and discovery where TM becomes the assistant of an archaeologist, a man detached from his fellow beings, oblivious to the beauty of nature, interested only in lifeless friezes and caves. In the initial pages, TM works hard to gain trust and experience of the archaeologist and later on he becomes the main protagonist as he discovers a roman image on the bed of saryu river, which is supposedly a statute of Roman emperor Tiberius II. Ambitious work is begun by TM to write a paper on the Roman Image, which may change the entire Indian history. He gives interviews, becomes famous and is about to publish the esteemed research. However, as is inevitable in Narayan’s stories, the events take a surprising turn where the entire narrative tumbles on its head. The fizz comes out of the bottle, leaving it empty and shapeless, as the actual history of Roman Image is divulged through a series of well endowed caustic remarks on the incompetence of experts and the foolhardiness of superstitious people.The truth is revealed and the coveted statue turns out to be a broken dwarapalak of a local temple, which was mutilated by the hallucinating priest and drowned in river. The present story is no doubt written in a humorous vein and is thoroughly enjoyable. However, a particular thing that I noted was that Marco of Guide made a reappearance here. His name is not divulged, yet in his attitude and solitude, he is the same diligent, dry hearted scholar, whose only ambition in life is to achieve name and fame by making some important discoveries. And, in the present story, he does achieve an epitome. In Guide, Marco’s character was not fully explored. The significance of his work and book was only given a hint of, but in the present story, the researcher plays a prominent role. Even, TM re-invents himself, turning coat from a journalist to an archaeologist. Though, in the end, everything turns out to be unexpected and amusingly funny. As I have been reading Narayan’s stories, I found them an extension of his novels, where characters are explored, their names rechristened and their roles reversed. I think as Narayan once said, ‘he often felt characters of novels keep visiting on his door’, in his stories, he has probably made an attempt to pacify the individual need of each character by writing the story from their point of view. If in A Night of Cyclone an undiscovered event of Krishna‘s life(though he is called TM) is revealed, as the story is about the birth of his first child, the thoughts of Rosy were given a vent in Selvi. 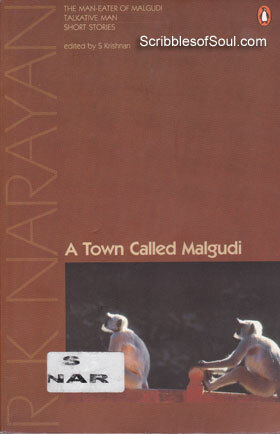 One may also say that Narayan not only created Malgudi as a town, but he also filled it with real people, who keep coming in his novels and stories, as are the landmarks of Malgudi, such as Kabir Lane, Lawley Road, Mempi Hills and Fountain Square. I would call The Roman Image, an extension of Guide, a very funny side of the boring excavation work. The story is quite sarcastic, makes fun of the so called experts, who create a hill out of a mole, pokes fun at the temple authorities for employing a drunkard as priest just because of his lineage. and serves well for a wannabe archaeologist who is an ignoramus as far as history and historical associations are concerned. A good, light hearted story with just the right dosage of satire!